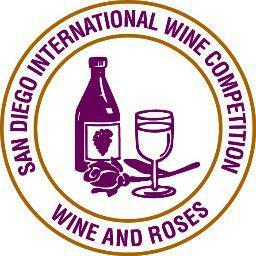 I always look forward to judging the San Diego International Wine Competition because I always learn something new. I am always blown away when the winners are revealed. I am also humbled when I see the wines that I selected as winners and the wines I did not award a medal. There is always a surprise in the bunch. Best of all I get a chance to hang out with other wine professionals that I rarely get to see. Everyone is there to have a good time and there is no pretentiousness. I guess it is difficult being pretentious when everything we judge is blind. I really enjoyed judging with Thrace Bromberger from Villa San-Juliet and Mark Lovett a 30 year veteran at the San Diego International Wine Competition. We had many laughs at our table and for the most part agreed with our choices for winners. The San Diego International Wine Competition lasts two days in which judges sit at tables of three and judge different categories of wine. Their goal is to award wines a Silver medal, a Gold Medal and a Platinum medal to wines that stand out in their class. Those that receive a platinum are automatically entered into the Sweepstakes round the following day. The Sweepstakes round features all the Platinum winners. They go head to head within their group for best wine in that group, such as best Sauvignon Blanc or best Pinot Noir. Finally, the judges re-taste the best wines of all categories to select a best sparkling, best white. best rose, best red, best sweet and best fortified. The wine with the most votes wins the Best in Show award for their group. The last wines standing are then tasted and voted on one last time for the coveted Wine of the Year Award. There were 1700 entries this year, a good 700 did not win medals. This means that as judges we taste a lot of wine…some great, some quaffable and some down right disgusting. But it is all in a days work and somebody has to do it. This year we had so many Platinum winners sent to the Sweepstakes round. It made for a grueling day of judging. Some wines could have been just fine with a Gold medal, but Platinum! No way. Especially these medium sweet reds and sweet roses. I am not sure what those judges were thinking. The way I see it a Platinum award is given to a wine that deserves to win Best in Show. Many of the wines that made it to the Sweepstakes had no business being there. One of the big surprises was how many box wines made it into the Sweepstakes round. It goes to show that wine is always evolving and changing with the times. It reminds me of the days when I was traveling through Australia in a van and drinking out of a box wine. The wines were pretty delicious and fit the occasion as I camped from one town to another. I went back to check my notes and see which wines I enjoyed but did not make it into the last round. The first was Benzinger Pinot Noir Bella Luna Vineyard Russian River. I awarded it Gold, but my fellow judges did not score it, so it received a Silver. It had funky nose which I thought was interesting, it is what one would expect from a wine that is bio-dynamic. Our table also sent up a Tempranillo from Lodi from Fields Family Wines. It was balanced and for a new world Tempranillo it was true to character. Another Pinot Noir which received Gold and is worth a mention was Jeff Gordon Cellars “Leo Pinot” Sonoma Coast, I had originally given it the highest score in the Pinot category, unfortunately my other judges thought otherwise. Our table also sent up to the Sweepstakes several ringers. For example, in the Cabernet Category we sent up a Cabernet From Malibu, Rosenthal “The Malibu Estate”. It only makes sense that the first place to start growing Cabernet in California is still making worthy Cabs. We also sent up a Gruner Veltliner from Zocker in Edna Valley. It went on to win best Gruner Veltliner. Although we did not agree on all the wines, we actaully agreed on 90% of them. It made for an easy judging session, thanks Mark and Thrace. Another wine which stood out, was Cougar Crest Winery from Walla Walla which won best Merlot. The wine was very good. Their other wines also won a slew of awards. Another winner which always seems to pull it off is Korbel. They always do well at these competitions. This time the Korbel Blanc de Noirs won best sparkling wine. In the end I think we gave out good awards. The wines which won best in their class really did deserve it. You can see the complete list of the winners here. I love that the wine which won Wine of the Year was a $9 Riesling from Wollersheim Vineyards in Wisconsin. Last year their wines were the big surprise. I love it when a $9 wine can beat out a Napa Cab which retails for over $100. Right on! The wine that I thought was absolutely delicious and personally voted for best wine of the year was the Rancho de Philo Cream Sherry from Rancho Cucamonga. You can see that their Yelp page has 5 stars and the wine too deserves 5 stars. This wine could have come from any of the best sherry producers from Jerez, Spain. The sheer volume of wine at this competition is overwhelming. What really baffles me is how the organizer Robert Whitley, chief judge Michael Franz and their team run like clock work. I guess after 30 years of hosting the SDIWC, Robert knows what he is doing. What he does is he surrounds himself with the best volunteers. We are talking about people who are excited, passionate and work hard all day so that the judging goes smoothly. They wash and polish thousands of glasses, watch over all the tables and make sure that the wines are delivered in the right order and bring us water and roast beef when we need it. A big applaud to all those that helped make this competition a great success. I look forward to doing it again next year.